"e-Court India is extremely flexible because the individual or company can start a case using e-Court with/without the assistance of a legal professional. In many situations the claimant and/or defendant feel they wish to avoid legal expenses and obtain justice without expenses from legal counsel. Others may feel they do not have the ability nor time to settle a case without legal professional assistance. In this case our Service desk can, if needed, refer you/your organization to a Lawyer, Barrister, Sollicitor or Attorney registered with e-Court. Just send an email via info@e-court.in Alternative, we suggest you view representation. When choosing your own legal professional just make certain your counsel registers with e-Court. 4. You inform e-Court whether they wish a hearing should/should not take place. Please note a hearing will only take place if either or both parties requested a hearing at the time the case was registered for e-Court litigation. Furthermore, when conflicts deal with amounts higher than 3,961,200 INR , there will always be a hearing. 6. Within six weeks the official litigated decision is sent to the claimant and defendant and/or legal counsel of both parties. e-Court is quick, easy and inexpensive with/without legal assistance. 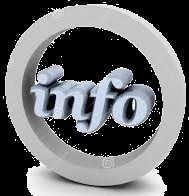 We regularly inform you/your organization about the progress via email, but full information is always available via this website, hence our claim we offer total transparency. Click here for additional information about the standard procedure. If you do not agree with e-Court's decision after having previously used the standard procedure, you can always decide to appeal. This procedure takes four weeks, hence the total procedure from start to finish will last no longer than ten weeks. Click here for further information about the appeal process. Traditional jurisdiction in most countries often takes too long. Most of us experience delays of months or even years. And not to mention the hefty lawyers bills. With eCourt, you know the duration and exact expenses of your case beforehand. 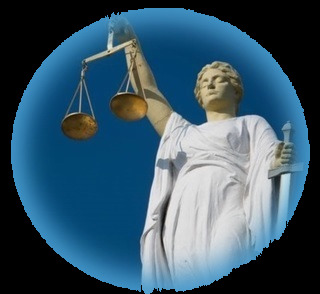 We make justice in all areas transparent, professional, speedy, and above all inexpensive. Information about your case is always secure and accessible. eCourt will re-shape the future of common & Civil litigation - Forces transforming the legal industry promise the emergence of new models that will allow clients to reap huge efficiencies, but at the expense of law firms that fail to adapt. 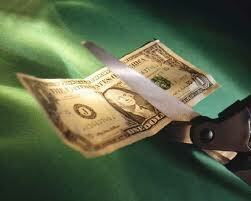 Moreover, with eCourt, justice no longer goes to the person or organization/company with the longest financial breath. Flexible : e-Court is extremely flexible because the user can start an e-Court case with/without the assistance of a legal professional. In many situations the claimant and/or defendant feel they wish to avoid legal expenses and obtain justice without expenses from legal counsel. Others may feel they do not have the ability nor time to settle a case without legal professional assistance. In this case our Service desk can, if needed, refer you/your organization to a Lawyer, Barrister, Sollicitor or Attorney registered with e-Court. Just send an email via info@e-court.in Alternative, we suggest you view representation. When choosing your own legal professional just ensure your counsel registers with e-Court. Scope of Legal Areas : e-Court handles most civil disputes common to Individuals and medium size & small businesses in accordance with either the common law and/or the civil-law traditions in the United States. e-Court shall not consider bankruptcy law, criminal matters, fiscal and administrative matters. Also view Dispute Resolution. 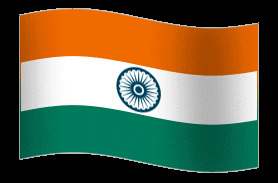 e-Court.in is currently in the process of filing its charter with Corporations Act of India. 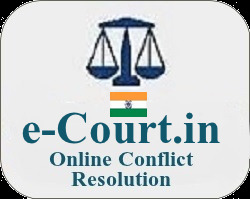 e-Court India is composed of an independent (self employed) group of experienced professionals like (former) lawyers, barristers, solicitors or attorneys, judges, mediators, university professors, industry and other legal interest groups. e-Court aims to offer a venue where members are linked to independent "participating" professionals who can provide competent, affordable, secure, transparent and speedy justice. These professionals whilst not being employees of e-Court have been thoroughly vetted prior to offering their services. Forces transforming the legal & mediation industry promise the emergence of new models that will allow clients to reap huge efficiencies. Axis Bank are our bankers inclusive for escrow requirements. e-Court.in Legal Services Pvt. Ltd.